Jodie Koh, Amy Bantock and Emilie England. ONLY about 10 per cent of all Australian engineers are women, which Girls in Engineering co-ordinator Samantha Bickell wants to see change. The program, run through the University of WA, is teaching girls across Perth that engineering is a broad field that can be a rewarding career. Methodist Ladies’ College students were the latest to hear from Ms Bickell with the help of UWA engineering student and MLC old girl Jodie Koh. 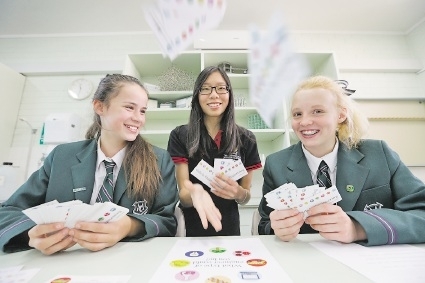 The program is also being run at St Hilda’s Anglican School for Girls, Perth College and other schools around Perth. Ms Bickell said the program aimed to change the way girls thought about engineering. “There is definitely room for more women in engineering,” she said.